What do you get when you cross one severe concussion to the occipital lobe and one severe concussion to the brain stem within two months of each other? A vampire. I couldn’t be in any light or heat from the sun. Smells made me throw up so I couldn’t eat. Any time I moved my eyes I felt dizzy and nauseous, so I couldn’t read. When I tried to talk, I couldn’t get my words out and often ended up stammering until I drifted off mid-sentence. Riding in the car made me nauseous and inflamed my head. My head was a throbbing, buzzing mess every waking second. My fatigue was severe. The anxiety I felt over accomplishing menial tasks was crippling, sometimes I was doubled over at the thought of paying a bill. The first year, I saw a medical neurologist. We tried everything: infusions, six types of prescription meds, injections. He even put me in the hospital for five days on IV medication. There was no change in my symptoms. He told me one day, “You may be like this permanently.” I had to quit my job. Parenting my 10-year-old twin boys was horribly difficult. I considered learning Braille. Today, almost three years later, I have gone one full month without a headache, nausea spell, dizzy spell, feeling confused, or stammering. And I can read and talk normally again. My anxiety is almost gone. I did four things to get here 1) I went to a chiropractic neurologist 2) learned mindfulness/meditation practice 3) ate an anti-inflammation diet and 4) got out of the altitude. The chiropractic neurologist did a comprehensive exam and prescribed me exercises to do with my eyes. Some I even had to do on a swing. I could feel the pressure lift a little behind my eyes and in my head every single time I did them. Even five seconds without the pressure was a precious gift. As we met over the course of a year and a half, he added new ones. I worked up to multiple times a day and then after a while I was lasting one or two hours without head pressure. He also had me walk daily; my eyes moving with the moving landscape was retraining my brain. My life became a dark, silent cave. Every coping mechanism I had ever known was taken from me (wine, talk therapy, music). I needed something dramatic, so I went on a silent meditation retreat. The silence made me realize how much the quiet helped me. I learned to get out of my head and back into the rest of my body. I learned to be present and still and quiet the chatter in my mind. In turn, it helped me cope with the pain. I discovered that I could write longhand without pain when we were encouraged to write in a journal throughout the weekend. I found that I liked to take pictures as I walked around the grounds. It was quiet and meditative to be behind the camera and looking through the lens seemed to help my brain and eyes communicate again. When I got home, I put the meditation into practice and made it part of my daily routine. I gradually worked up to meditating 30 minutes daily. I started writing in a journal every morning. I began dealing with the emotional stress and fear on paper. The anxiety began to dissipate. And after a couple of months of the practice, one day I wrote down 33 lessons I had learned from the experience. And all of a sudden I was grateful. Then an epiphany emerged: so what if I’m a completely different person after the brain injuries? It doesn’t have to be negative. I’m going to make this an opportunity to re-create myself. My headache finally broke 19 months after the first injury, and nine months after I started with the chiropractic neurologist. But I was still getting headaches daily for about 75% of my waking hours. He suggested an anti-inflammation diet. That began a long process of eliminating foods with trial and error. And I found that anything with inflammatory qualities gave me a headache, including refined sugar, dairy, soy, gluten, nightshades, nuts and alcohol. I started eating paleo, but included corn, rice, and beans. Finally, kicking and screaming, I gave up caffeine. And my headache went down to a minor irritant that would still rage for 3-5 days if I did anything to irritate the sleeping giant (rode in the car too long, ate one serving of gluten, got overheated from a bath). The fatigue was still there, too, but it was better. I could function for 3-4 hours if I rested 8 and got twelve hours of sleep. The final healing push for me was getting out of the altitude. My home in the foothills of the Palmer Divide was 7200 feet above sea level, and by accident, I discovered I felt less fatigue and less inflamed at sea level. I took two weeks to try out sea level first to make sure the oxygen saturation wouldn’t make me sicker; it didn’t. So I packed up my twins (who are now thirteen) and moved. Today is my one-month anniversary of remaining pain-free. I still get a 2-day headache with a mild recurrence of my other symptoms if I get overheated, stressed or eat something I shouldn’t. I stick to a daily routine with the meditation, walking, journaling, eating and exercises. I take pictures and stay out of the heat. I listen. I rest. I am no longer a prisoner of my own head. I am grateful even for the pain and losses. I am not the same person I was before my brain swelled up and changed my attitude, priorities and sense of self. Posted on BrainLine November 8, 2016. Rachel Derrington is an adjunct professor at the University of Denver Graduate School of Social Work where she currently teaches online. She is also a writer and photographer. Ms. Derrington has a Masters in Social Work and a Bachelor’s in Psychology from the University of Denver. She is the mother of twin boys and currently lives in Central Texas. Thank you Rachel for the article. I am 1.5 years post concussion. I was simply entering my car and hit the side of the head on the automobile frame. The neurologists said my concussion was minor, and dismissed me. I had the same symptoms as most of the people who commented: intolerant to light, dizziness, nausea, pressure in the head (crown), severe fatigue, pain behind the eyes, pressure in the temples, severe pain on the right side of my head (where I hit the head) etc. The concussion Dr forced me to return to work, to work 2 hours per day. I was not able to do it, and he said that I had an emotional problem that needed to be released-there was nothing wrong with me. I then went to an ENT and they diagnosed me with bilateral inner ear dysfunction (both ears) and associated visual dysfunction. I then saw a neuro-otologist, who has been treating/supporting me through this. I also see a rehabilitation optometrist- who prescribed contact lenses and then 3-4 months later, prism glasses. With the contacts, I immediately improved the dizziness and head fogginess. I am also sensitive to noise, so my neuro-otologist prescribed ear filters, much like what musicians use. These saved my life, as I can be in noisy places now. I had Epley maneuvers-initially was horrible and then I improved, but not completely. So now I had visual rehabilitation at Kessler Institute. They pushed me too much with the exercises and my neck stiffened up- so I will go again to my acupuncturist to get the neck loosened up again (as dizziness returned). I feel better while taking a break from the eye exercises. The fatigue is still a problem. So far, I did not quit my job, as I am receiving disability benefits. I hope my company does not let me go. The next step is to go for vestibular rehab at Kessler also, but not yet. I am not sure what a chiropractic neurologist could do for me at this point. Maybe I will go for second opinion, to make sure I am already doing the same stuff. I did not have to change diet-as I already had healthy diet with omegas, etc. I do take turmeric and the supplement Migrelief (when I feel pressure in the head or headaches- Health Food store)- and it helps a lot. I may also take glycinated magnesium (not the citrate form). At the pharmacy they sell Migraine Relief and I find it to be calming. For anxiety, I never took amytriptaline because it exacerbates my interstitial cystitis- so I had to resort to seeing a psychologist who practices "awareness" psychology. Returning to church and practicing being "humble", "loving thy neighbor" with complete consecration to Jesus, is helping me to accept there is a purpose in what is happening to me. In my worse moments of despair with panic attacks, I experienced profound love-total unity and connection with those I have relationship problems with (we merged in oneness), if only for a few seconds, but I know God is in me, and I will never be abandoned. Awesome! As a mom of a son with a TBI - we definitely recommend a Chiropractic Neurologist! It helped him heal faster than any other brain therapy. I still have people consult with me & that's the first place that I point them. Also get the nutrition link - which is why I wrote "Nourish Your Noggin!" as an easy to use guide. It's on Amazon under that title. Brainline has some articles on it as well! Keep going forward - congratulations! Thank you for your article, I am 17 months in to a TBI frontal lobe and brain stem occurring from one incident. I will take your four point plan and give it a trial for myself, the altitude I have already changed and it made a big difference to me in a positive way. Diet has to be next and to see if a chiropractic neurologist exists in Uk. I love to hear personal stories on how people are dealing naturally with their concussions, years post concussion! I am four years out and although my life is different than before, I am happy with the recreated me! I too exercise, meditate, use breathing techniques and do yoga. I take high doses of vitamin D and omega 3 (EPA and DHA =3000mg) and pay close attention to my diet to try to prevent a "flare" up of the inflammation. My headaches, nausea, dizziness, fatigue and visual issues are a daily concern, but I am still improving in "my new life". 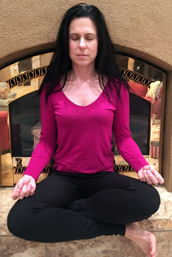 A chiropractor neurologist has helped me so much, plus the diet, plus the meditation. I can't change my altitude, but I am ok with that. Thank you for sharing your story. Thank you so much!